Capture investments, engage mentors & advisors and develop strategic partners. Lead and invest in syndicates, make direct investments in private companies, early access To IPOs and mentor and advise cannabis companies. Priority access to the industry's leading investments. Looking to raise capital? 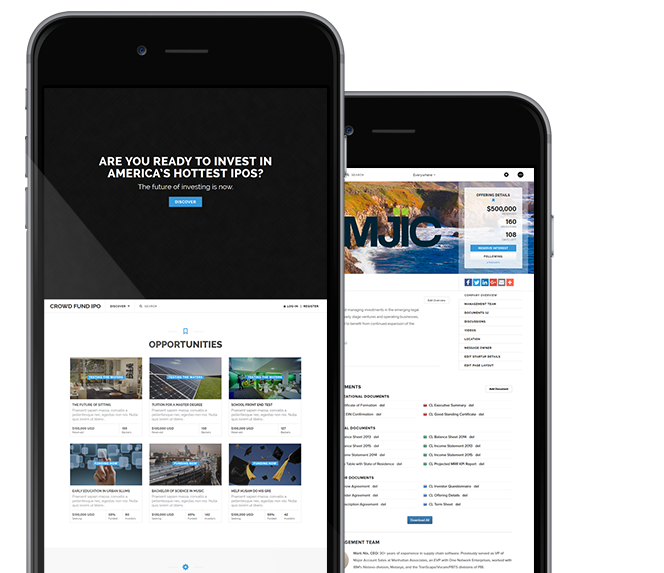 Get started and create your investment page now! Lead and invest in syndicates, make direct investments in private companies. Find mentors, co-founders and advisors. Priority access to the industry's key players. Get professional help with license applications and compliance. Stop paying ridiculous subscriptions and membership fees. Invest with industry leaders who make money when you make money. Gain valuable insider access to invest in startup opportunities that are pre-screened by CannaFundr Group investment committee. Our low minimums provide an easier way to build a diversified portfolio across what is becoming the country's fastest growing industry. Accredited investors requires a minimum income and/or net wealth. CannaFundr verifies the accreditation of its members. Encrypted data & PCI-compliant payments are just a few security aspects implemented into our platform. Need to share financial documents, press releases or any other document? Easy as a breeze. Invest Directly. No Platform Fees. Lead and invest in syndicates, make direct investments in private companies, preferred, early access To IPOs and mentor and advise cannabis companies. Accredited investors can back and co-invest with syndicates, receiving the same favorable terms negotiated by the syndicate leader. Budding entrepreneur and looking to raise capital? you came to the right place! Expand in what is now America’s fastest growing industry. Syndicate leaders curate and lead investment opportunities while they provide ongoing coaching for growth companies. List your company on our platform with ease in minutes! Each year the royalty payments will be disbursed to the members of the LLC based upon their prorated ownership after administration costs are deducted. Do I have to deal with a million investors? The Marijuana Investor Summit is the premier legal cannabis conference bringing together entrepreneurs, investors, and service providers to connect, educate, and collaborate. Marijuana is now a heavily regulated LEGAL industry. All compliance issues for California medical and recreational operations are to be covered. Stay current with recent announcements, upcoming events, and the latest media coverage.